A fabulous deep cleansing, gentle exfoliating, facial sponge with 100% natural vegetable fibre and added French pink clay to calm irritated, hypersensitive skin. Konjac Sponge Pink Clay is made with French pink clay, a mix of red and white clay Pink clay is soft, it is recommended for tired, sensitive & dehydrated skins. It helps to turn rough and hardened skin into soft and radiant skin, rejuvenating and plumping and helping return the skins natural elasticity . 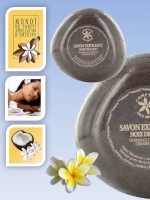 SKIN TYPES: Excellent for sensitive, dull, tired or sun-damaged skin that needs revitalising.